Long-time visitors to the Oakland Museum of California enjoyed the old Natural Sciences gallery, which covered the state's great variety of habitats in a "walk across California" format. At least, I always enjoyed it. 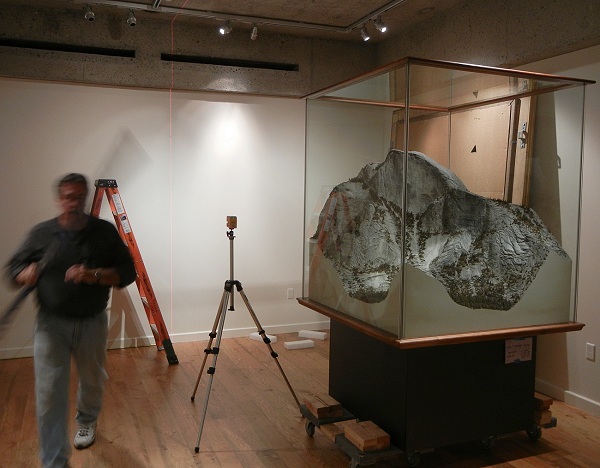 At its entrance the exhibit had a large 3D map of California, mountain ranges and great basins laid out in miniature. I felt like a giant, 500 miles tall, watching from outer space. Inside, hundreds of wonderfully made dioramas showed California landscapes at small scale and their typical plants and animals at full size, giving a zoom-in approach to every corner of the state. The gallery was closed in 2009 for a complete redesign, which will be unveiled starting May 31. While the old gallery was good, I can say after a backstage tour this week that the new one, the California Gallery of Natural Sciences, is even better. The problem with the old gallery, Senior Curator Douglas Long told me, was that many people had trouble getting it. I think I understand why: the state of California alone has so much variety that people might have thought they were in a national exhibit, or even a global one like you see at a zoo. To them, the Sierra Nevada might as well be the Rockies and the Yosemite bears the same as those at Yellowstone. The new gallery, like the old one, opens with a giant 3D mapnot the original but a better version. It then sharpens its focus on California by narrowing down to seven specific places, the first of which is Oakland itself. I think this is a stroke of genius. What's so Californian about Oakland? Everything, when you look at it in detail. The landscape it sits on includes habitats found up and down the Coast Range: redwood forest, oak woodlands, grasslands, coastal marsh, the estuary of San Francisco Bay. Fossils on display extend these into the geologic past. Oakland's mediterranean climate represents a wide swath of California, too, with its distinctive pattern of seasons and generally great weather. The first Oaklanders recognized these natural blessings even as they exploited them and paved them over with grids of streets, but the original woods and fields and animals remain in attenuated overlays, lurking in alleyways and culverts. The exhibit on the city's hidden creeks, and the groups seeking to restore them, finds an echo in the museum itself: a walled-off section that once housed a set of aquariums was reopened, and now a nice new fish tank features living Bay species. Kiosks in the exhibit will let Oakland residents add their local knowledge, while out-of-towners will gain a deeper appreciation of the city around the museum. The deep interactions between human and natural systems are a theme repeated throughout the new gallery. The six other California localities include the familiar (Yosemite and Shasta), the less-visited (Sutter Buttes, the Tehachapi Mountains, Coachella Valley) and the hopelessly remote Cordell Bank National Marine Sanctuary, known only to determined scuba divers. Every one of these archetypical places has its own examples of landscape, climate, habitat and human interaction to show. (The Tehachapi and Coachella exhibits will open later this year, but don't let that keep you away now.) Fresh works by environmentally minded artists brighten the space and enlighten the visitor. And most of the great old dioramas are back, spruced up and looking in their prime. Not to be overlooked is the south wall of the gallery, where selections from the museum's art collection make their own declarations about the different ways we see California. And outside the flanking windows in the museum's rooftop garden, California native plants are being raised for the first time. 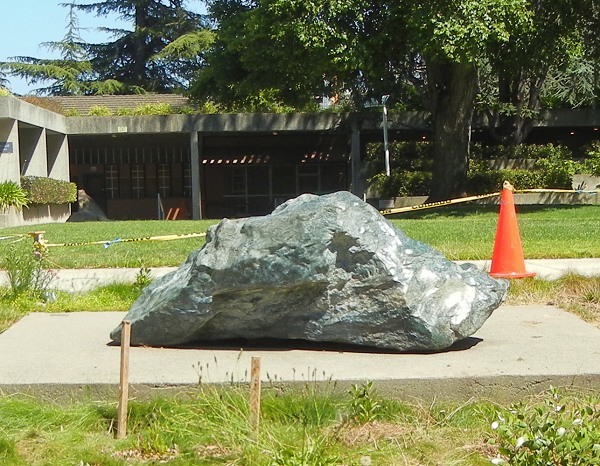 There too you'll see one of the signature geologic items, the big serpentine boulder, the same as ever. Beneath the landscapes and habitats, California's geological frameworkdynamic in deep time and big spaceis what ties all seven Californias together. And mineral resources, starting with gold, are the historical infrastructure of California and the cause of its preeminence among the states today. As the Oakland Museum of California expands to close this gap in its coverage, the beautiful new gallery has plenty of room to keep growing.